MAROON color is always almost everybody's choice. 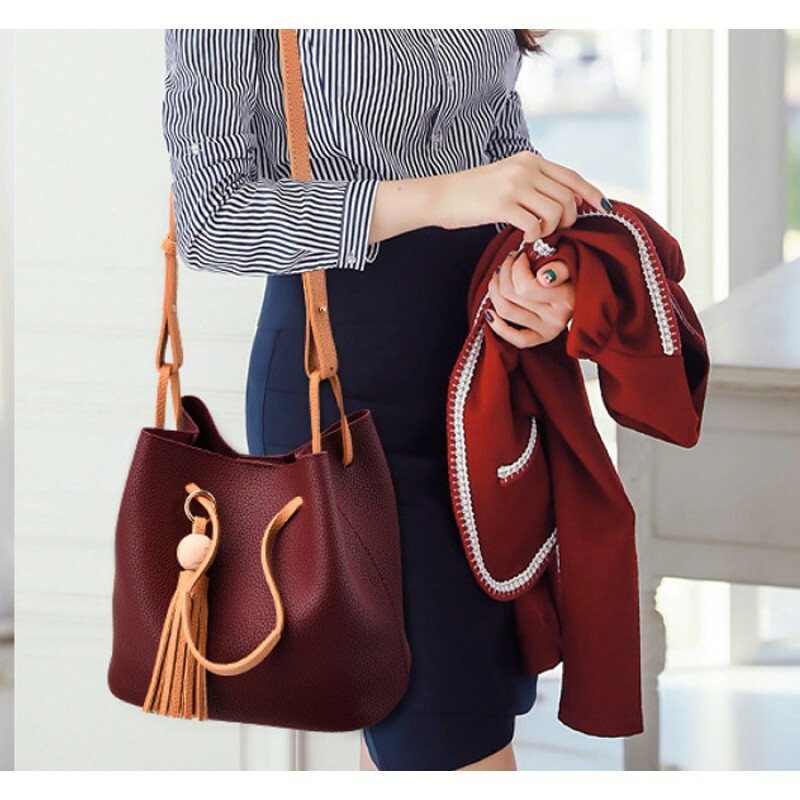 This solid bucket shape European and American fashion style fashionable women's handbag, material used in is Polyester and Soft Surface. 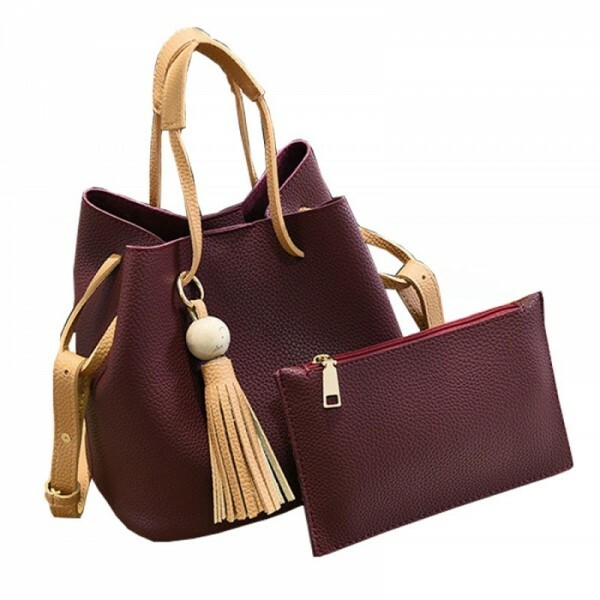 Its a casual style handbag but it is up-to you whatever you may like. Color range is available to choose from and capacity is good. This BLACK color square shape solid pattern European and American fashion style women's shoulder han.. 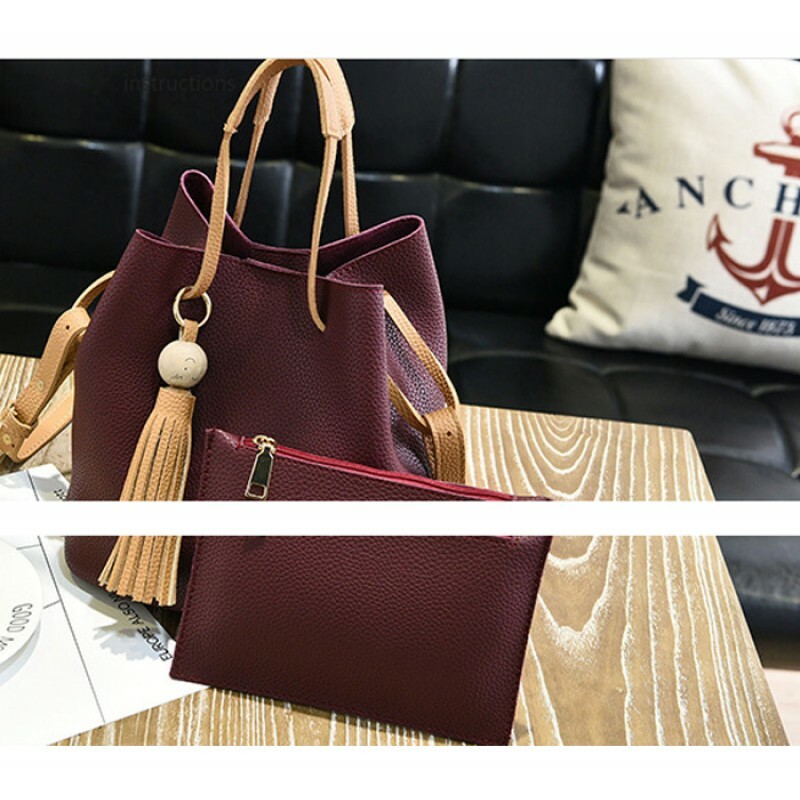 These BLUE four pieces stylish and fashionable solid pattern bags specially for smart ladies, there ..
You want to hang your bag with shoulders or want to pick in hand. Buy this RED colored shoulder bag .. This crocodile pattern ladies MAROON handbag with a GOLDEN hanging locket and written golden colored.. This BLUE color solid pattern square shape European style women's shoulder handbag, produc.. This CREAM color European Fashionable solid pattern square shaped soft women's shoulder handbag manu..